Home | Niagara Tank Lines, Inc.
You have found the source for all your transportation service needs. Our full service facility is ready to get you back on the road quickly. Here are the answers to some commonly asked questions. The list of what we can and cannot wash is extensive. In order to determine if we can or cannot wash your tanker, we need the MSDS of the product. The MSDS must include chemical composition. 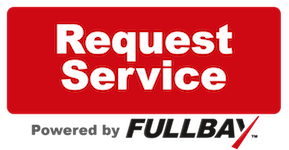 Use our tank wash request form to send us the information required. We try to get everyone on their way as quickly as possible. You can schedule an appointment in advance by contacting our office. From the 90 West: Take the 290 West to the 190 North. Take Exit 23, Packard Road. Turn Left, follow Packard Road until it turns into Veterans Drive (bear left, follow truck route signs.). At stop sign, turn right onto Buffalo Avenue, your first right is 27th Street and your first left is Allen Avenue. From the 90 East: Take the 190 North. Take Exit 23, Packard Road. Turn Left, follow Packard Road until it turns into Veterans Drive (bear left, follow truck route signs.). At stop sign, turn right onto Buffalo Avenue, your first right is 27th Street and your first left is Allen Avenue. For tanker trucks only: You can take Exit 21, Buffalo Avenue, Rte 384. This exit is at the bottom of the second Grand Island Bridge. From 190 North, keep left on the exit and turn left onto Buffalo Avenue. From 190 South, keep right on exit and turn right onto Buffalo Avenue. Follow Buffalo Avenue to 27th Street, turn right onto 27th and left onto Allen.